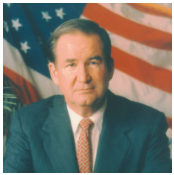 Shop all books by Pat Buchanan “Those who make peaceful revolution impossible … make violent revolution inevitable,” said John F. Kennedy. In 2016, the U.S. and Britain were both witness to peaceful revolutions. The British voted 52-48 to sever ties to the European Union, restore their full sovereignty, declare independence and go their own way in the world. Trade and immigration policy would henceforth be decided by a parliament elected by the people, not by bureaucrats in Brussels. “Brexit” it was called. And British defiance stunned global elites. Two and a half years later, Britain is still inside the EU, and no one seems to know when or whether the divorce will take place — a victory of London and European elites over the expressed will of the British people.